The Dutchtub, developed in 2002 by the Dutch Designer, Floris Schoonderbeek, is a natural wood-fired soak tub with a modern flair in simple and functional design. We first heard three years ago of this amazing thing, which is a self-contained hot tub which can be placed in even the most remote locations. 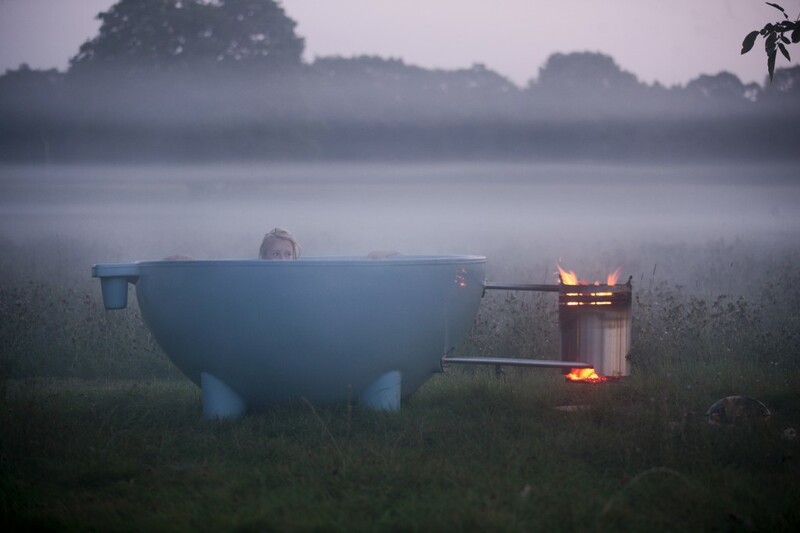 The tub is a lightweight and portable hot tub that heats water the old fashioned way: with fire (and the fact that hot water rises). It is colorful, fun, effective and (to the best of our memory) doesn’t cost a lot of money. This friendly solution for outdoor bathing in virtually any environment is handmade of polyester and features a stainless steel heating system that works off wood logs and can be regulated via an adjustable basket. It’s available in 6 bright colors. There are also two models of the Dutchtub that differs in shape and size. 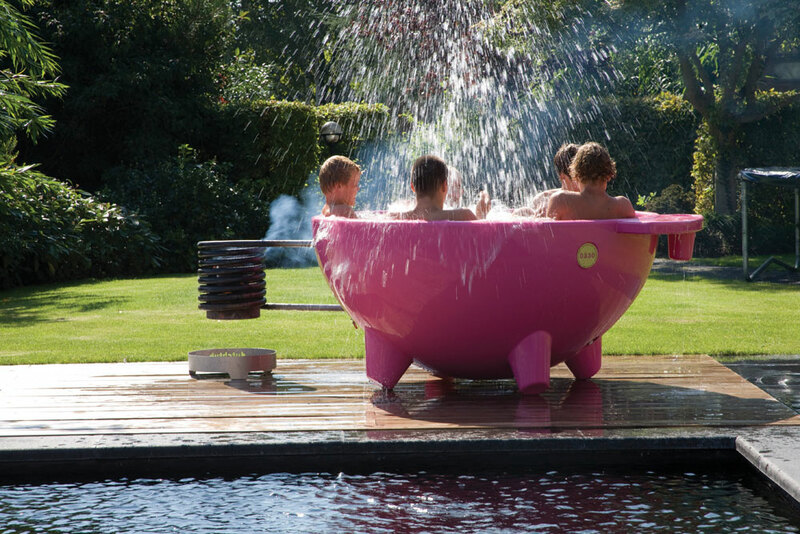 If you have water and wood than you don’t anything else to use this hot tub. You want to try out the Dutchtub experience? Do not hesitate and sent a mail to info@alva.lu!